Approximately 36 million Americans are currently suffering from hearing loss, but only 20% of them are aware of their condition. Hearing loss affects your communication abilities and can harm your relationships with your loved ones and your community in Littleton. Ready to find out more? Take a look at these helpful facts about your hearing health. Hearing loss has been linked to several mental and physical health problems in patients with untreated hearing impairments. Some examples include hearing loss’s link to depression, anxiety, anger, paranoia, Alzheimer’s disease, dementia and obesity. For patients in Littleton, hearing loss has also been shown to reduce income and increase the risk of developing a major disease or other serious physical health problem. Hearing loss is a problem for people of all ages. Many people associate hearing loss with old age, but only 35% of those with hearing loss are 65 or older. Hearing loss is rapidly increasing in younger generations, and some studies report that more than 1 in 5 high school students show signs of hearing loss in Littleton and across America. This is mostly due to the ever-increasing popularity of personal listening devices and cell phones. Between 2 and 3 babies per 1000 births are born with impaired hearing, making hearing loss one of the most common birth defects. Infant hearing loss causes many developmental setbacks, so audiologists recommend an initial newborn hearing screening at the hospital after birth and additional hearing assessments every 1­–2 years. Only 54% of newborns whose hearing screening test results are irregular actually see a Littleton hearing loss specialist for more testing. Newborn hearing screenings are just the beginning of testing for hearing loss. Any baby whose results are abnormal should see a pediatric audiologist as soon as possible, as the infant could be suffering from a wide range of conditions from ear infections to earwax blockages to permanent hearing damage. Noise-induced hearing loss (NIHL) is the most common cause of impaired hearing and is responsible for 25% of all hearing loss cases. 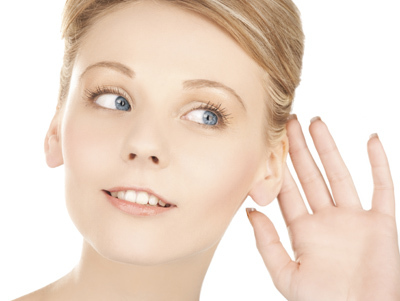 Aging was once considered the number one cause of hearing loss in Littleton—but not anymore. As our culture, equipment, appliances and electronics get louder, the incidence of NIHL has drastically increased. In fact, cases of hearing loss in the U.S. have more than doubled since the early 1990s.